Since I can't decorate my own home this season, I'm eating up ideas for the future. One of the things that I've noticed being done more and more is scattering Christmas throughout the home, rather than just in the living spaces. I. Love. This. For one, it allows for you to really maximize your decor and spread it out in multiple places. For another, you're literally spreading the cheer for guests (and you!) to enjoy throughout your home. I'll admit this idea came to me while touring the Home for the Holidays Showhouse just before Thanksgiving. The holiday decor in the house was stunning and while somewhat understated, it was truly spaced throughout the home which incorporated the holiday spirit in nearly every room. Not only was the home sprinkled with wreaths, trees, and greenery, but small details like ornaments and other holiday trinkets also abounded. 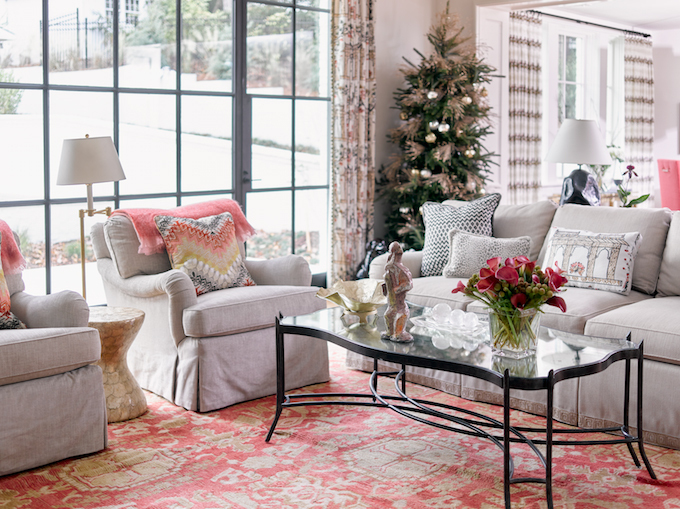 Each designer incorporated holiday decor that fit with their spaces. Instead of one color of decor scheme being carried throughout the house, the decorations in each room matched the motif. So, while you might see pinks, reds, and greens in the main living space, the formal living areas might have shades of blue and the hallways various metallics. I thought this might feel choppy, but instead, the rooms felt cohesive and thoughtful. I would be remiss not to mention the incredible, timeless, outdoor decor. The greenery is lush and the shapes are classic. It's inviting and fits with the style of the home. Plus, it provides a fantastic first impression for visitors. 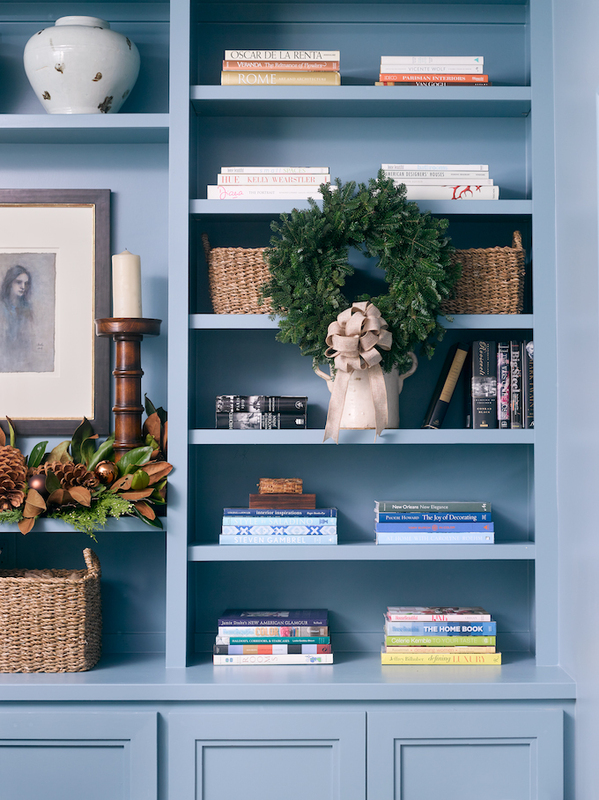 As you decorate your home this year, don't feel confined to the same colors you typically use. Instead, use your home's every day color scheme as a guide. Liven-up your decor and enjoy mixing metals, fabrics, and textures to create a seamless look. If you want to see this stunning showhouse in person, it's open for visitors now through December 11th.